During a working trip to Bali earlier this year, the girls of The Ethical Supply Co. were absolutely blown away by the amount of plastic waste washed up on the Balinese beaches. After talking to locals, tourists and expats, and investing their time into online research, their eyes were opened even further to the huge amount of single-use plastic that litters our oceans and our earth. When they returned home to Australia, they were unable to forgot about what they had seen and decided to make a positive impact. The Ethical Straw Company was born in hope to create ethical and environmentally friendly alternatives to single-use plastic straws. After all, Kathleen, Alex and Samantha believe stainless steel straws are the perfect alternative and plastic straws simply aren't necessary. What made you so passionate about being eco friendly? I think the biggest thing that made us so passionate was seeing first-hand just how bad plastic pollution is in certain parts of the world. In Australia, we don’t really see just how bad the problem is. We are so lucky that Australia has excellent waste management programs in place, however, this is not always the case for most parts of the developing world. After visiting Bali for years and witnessing the problem first hand, we began researching the effects of plastic pollution. We realised it was everywhere. It's not uncommon to see huge piles of plastic strewn across the island, something which we never quite noticed until recent trips. These confronting scenes, as well as hours of researching the state of our environment, is what really led to our passion for embracing a waste-free lifestyle. I read that your household has embraced a zero-waste lifestyle, what’s that like? What is your advice for living more sustainably? Our household has always been relatively eco conscious. We have been composting and recycling for years, as well as making green shopping bags a priority. However, now that we have become more aware, we have completely eradicated our use of plastic bags as bin-liners, we’ve replaced all Glad Wrap with plant-based food wraps, and swapped chemical cleaning products for eco friendly alternatives. The main thing we’ve really noticed is that once you make the swap to eco alternatives, it becomes like second nature! When you’re really passionate about what you believe in, it isn’t hard at all. Our advice would be to take it step by step, don’t try and replace every item in your house with eco options at once, simply make small changes at a pace that suits your lifestyle and budget. What are some of the impacts that plastics, particularly plastic straws, can have on the environment? Every single day, more than 500 million plastic straws are thrown away and on average, are only used for about 10 minutes. Plastic straws are one of the top 10 items collected during beach clean-ups and together with bottles and caps, make up 90 per cent of rubbish found in our oceans. Alarmingly, 40 per cent of the ocean’s surface is made up of plastic and is responsible for killing 1 million seabirds, 100,000 mammals, and a countless number of fish. These statistics are both alarming and devastating. Plastic straws are so incredibly detrimental to the survival of our oceans and marine life, and they are items which are completely unnecessary, just convenient. What inspired you to start up the Ethical Straw Company? On a work trip to Bali in February, we became very much aware of the way that Western-owned cafes and restaurants did things differently when it came to straws. Almost every single cafe had some kind of alternative to plastic straws, something we had never noticed until that trip. We began to wonder why they were all so committed to reducing their use of plastic - was the problem really that big? We soon realised it's not just big, it's huge. Indonesia is currently the second biggest contributor to plastic pollution world-wide, and we thought it was incredible how many businesses had jumped on board the #refusethestraw movement. After doing our own research and talking to a lot of people we met whilst travelling, we felt so compelled to help make change, that we began brainstorming ideas to bring the movement back home to Australia, and the Ethical Straw Co. was born. 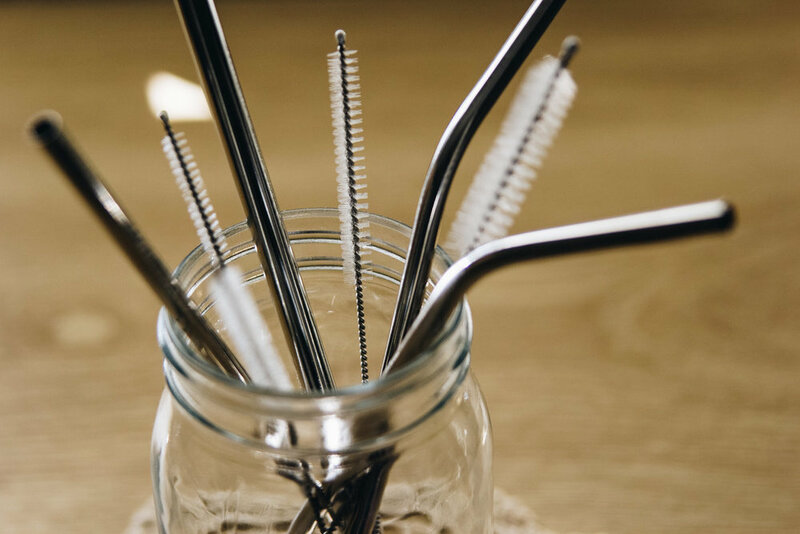 We wanted to create awareness through social media about the desperate need for a change of attitude toward the way we use single-use plastic, and we wanted to provide a place where people could get informed and get involved by purchasing stainless steel straws! You can check out and purchase your own straws from the Ethical Supply Co. here and follow them on Instagram here!